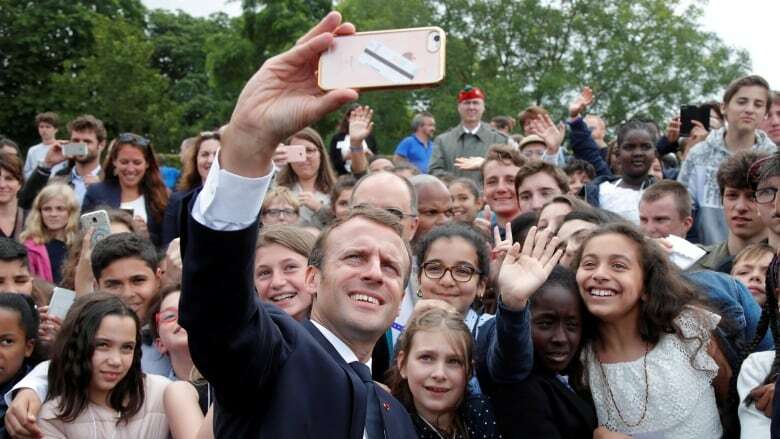 This week on the midweek podcast: Guillaume Liegey is revolutionizing political campaigns, from Emmanuel Macron's 2016 win to races across Europe. He shares his insights into mobilizing voters and doing positive politics in the digital world. Plus: the UNHCR's Assistant High Commissioner Volker Turk on how to move beyond the politicization of migrants and refugees. The organizer behind French President Emmanuel Macron's innovative campaign strategy says the secret to success at the polls goes beyond the ground game. Combining door-knocking with data, said Guillaume Liegey, is a winning formula in France and could work in other countries, like Canada. "It's definitely not rocket science to knock at 10 doors," said Liegey, who helped spearhead Macron's 2016 presidential bid in France when he was a non-establishment, unknown candidate. "But if you want to knock at 35 million doors, it becomes a bit more complicated. And that's when the data is important because you need to target the right places, and that's when technology is important because you need to make sure anyone can join the campaign," said Liegey, CEO of Muller Liegey Pons and a visiting global fellow at the Ryerson Leadership Lab. Liegey honed his campaign concepts volunteering with Barack Obama's campaign in 2008. He told Chris Hall, host of ​CBC Radio's The House, that his experience in the United States "changed [my] life." "The best campaigns combine three things: data, technology and humans," he said. "What Obama did was organize real human beings to have conversations with real human beings to encourage them to vote, and he did that using technology." Liegey has applied those lessons to over 1,000 campaigns in six different European countries. Where Macron's 2016 campaign tactics built upon Obama's 2008 effort was in its focus on listening to the people who answered their doors. "Public opinion is like an iceberg — it's very easy to see what's above the water. What is very hard is to get to understand what the silent majority has to say. That's why the listening part is very important," said Liegey. "You want to be able to put yourself in the shoes of thousands of French people because when you build a story for France, a vision for France, you need to know where you start." Mobilizing volunteers to listen to those voters isn't something parties have done much of in Canada before, said Karim Bardeesy, co-founder of the Ryerson Leadership Lab. "In Canada, our tradition is more using people merely to identify the vote or get out the vote, and not so much to persuade or build a coalition around you," he said. Liegey admits that for politicians, the formula for a successful campaign can be difficult to nail down. "Changing people's minds is a very tough business," he said. Tough, perhaps — but as Macron learned, pas impossible. 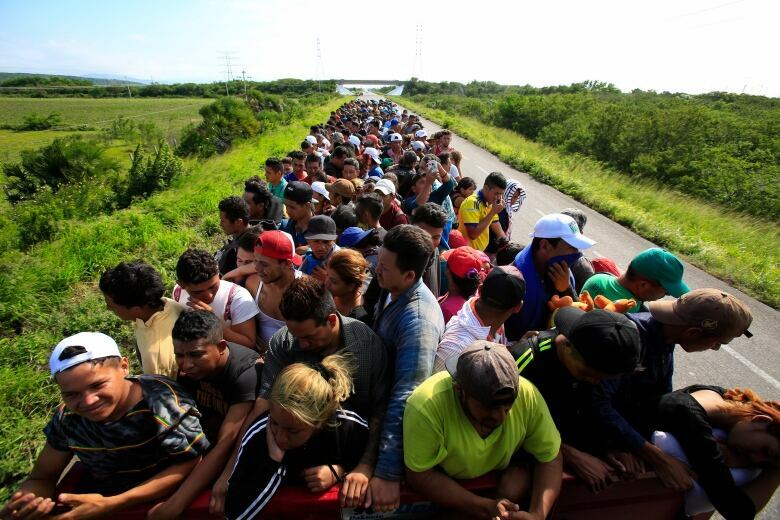 The recent U.S. midterms saw the issue of immigration used as a political bludgeon by candidates and President Donald Trump, particularly regarding the caravan of migrants making its way from Honduras toward the U.S.– Mexico border. But with irregular migration on the rise around the world, it's time to change the way the international community frames the debate over migrants, said the UNHCR's Assistant High Commissioner on Protection Volker Turk. "The voice of reason is gentle, but we need to make sure it becomes clearer, and it becomes heard," Turk told Hall. "We have to tell the many positive stories, here in Canada, in Europe, in the United States, that when communities open themselves up to refugees, they make rich contributions to their society." Turk is also calling on Canada to "continue to be a leader" on refugee protection, migration and resettlement. "If we get the story out there that it's not just about negativity and also about the positive experience, I think we can convince the populations that this is the right thing to do." Have questions or feedback for the show? Email us at thehouse@cbc.ca and follow CBC's The House on Twitter at @CBCTheHouse.